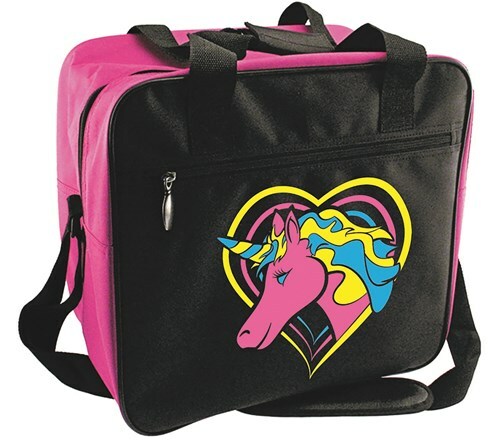 Pink Unicorn Single Tote holds 1 Ball and 1 Pair of shoes. Outer front pocket with bowling pin zipper is perfect for other bowling accessories. Due to the time it takes to produce the Classic Pink Unicorn Single Tote ball it will ship in immediately. We cannot ship this ball outside the United States.